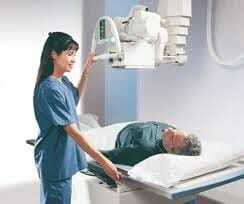 There are different types of dental x-rays taken in the clinic. Each types of x-ray is meant to take a specific picture and there are different types of machines and dental films that the dentist uses in order to produce a radiographic imagine of the teeth and the structures beside it. While not all dental procedures have to be carried out with an x-ray, a dental x-ray machine is common equipment in a dental office. It is useful for record keeping, disease diagnosis and treatment planning and even in the actual treatment of disease. A clinical inspection, however thorough, only gives a limited picture of the condition. The dentist is unable to see within normal dental tissues or beneath existing restorations. With a dental x-ray, a dentist can see through the gums to see the condition of the bone and the tooth’s roots; and he can see the condition of the inner tissues of the teeth. An abscess or cyst may or may not be visible through clinical inspection. Often when it is, it can be palpated; sometimes its presence can be confirmed through percussion. A radiograph can be taken to determine the presence of an abscess, cyst or any pathological growth. It can be represented by a radiolucent mass with defined on obscured borderes; or it can appear as a radioopaque mass in the periphery of the tooth. Even in the absence of symptoms, tooth decay can be detected on an xray. A radiolucent lesion on any surface of the tooth shall indicated the presence of disease that requires a healthy restoration. When gum disease is present the source of the infection should be revealed. A radiograph can show the presence of plaque build-up along the necks of the teeth and on the surface of the roots. When an impacted tooth is suspected, its presence and position in the bone can be confirmed through a dental radiograph. A radiograph is important not only for diagnostic purposes, but it will be used in the procedure, to guide the dentist and surgeon during the surgical removal of the impacted tooth. The dental x-ray will show the anatomy of the canal, its location, shape and size. These information will be used by the dentist during root canal treatment and pulp therapy procedures. A dental x-ray takes images not only of the teeth but also of the adjacent structures such as nerve canals and sinus spaces. Knowing the location of such vital structures will help the dentist write his treatment plan for procedures like dental implant placement, sinus lifting, bone grafting and so forth. Specialized x-rays like the transcranial radiogprah, cephalometric x-ray and the hand and wrist x-ray takes images for a given purpose. The transcranial radiograph takes a picture of the joints to detect any TMJ condition. The cephalometric x-ray takes a lateral picture of the head and neck region and it is used to predict growth patterns of the upper and lower jaw. The hand and wrist x-ray reveals the dental age of the patient who is usually a child.